Ever wonder where air conditioning was invented? Maybe some miserably hot engineer in Houston one summer day a few decades ago decided “enough is enough” and went to work to cool his office? You’d be a few centuries and a few thousand miles off. It all started with the great inventor Ben Franklin. He knew all liquid evaporation has a cooling effect. Together with a Cambridge University professor, John Hadley, who discovered that evaporation of alcohol–which evaporates faster than water—the two began experimenting on how to cool an object enough to freeze water. The year was 1758. Seventy years later, in 1820, Inventor Michael Faraday made a similar discovery in England when he compressed and liquified ammonia. A decade later, a doctor in Florida, John Gorrie, built an ice-making machine that used compression to make buckets of ice and then blew air over them. He patented the idea in 1851, but had no financial backing, so his idea to cool buildings throughout the US didn’t materialize. A new attempt to cool a room was the result of an assassination attempt in 1881. President James Garfield was shot on July 2, and naval engineers went to work to keep him cool by building a cooling unit that used water-soak cloth and fans, pushing hot air up to keep the air below cool. It worked, but used an enormous amount of ice—a half million pounds in 60 days–and the president died from his injury. It wasn’t until 1902 in Brooklyn, New York, that a machine that truly worked to cool air was invented. Willis Carrier invented an “Apparatus for Treating Air” for a local Lithographing and Publishing Company, which blew air over cold coils to control room temperature and humidity, to keep paper from wrinkling and ink aligned. Other companies quickly became interested in his apparatus and Carrier opened the Carrier Air Conditioning Company of America. Four years later, Stuart Cramer, a textile mill engineers in North Carolina, created a ventilating device that adds water vapor to the air of textile plants, and coins the term “air conditioning” to explain it. Eight years later, he first home to have air conditioning installed went into the mansion of Millionaire Charles Gates. It was as big as a room: seven feet tall, six feet wide and twenty feet long. And it didn’t get used much: the house was unoccupied, and located in Minneapolis. The first window unit came in 1931, invented by two men, H.H. Schultz and J. Q. Sherman. By 1932 they were manufactured for sale, but only the very rich could afford them: at $10,000 to $50,000 each, equivalent to $120,000 to $600,000 today, not many sold in those first years. The first air conditioned are arrived in 1939. The Packard could keep its passengers cool, but if they were too cool, the driver had to stop the car, turn off the engine, and disconnect a compressor belt under the hood. It wasn’t until the post-World War II economic boom in the 1950’s that air conditioning began to be installed in homes. Over a million window units were sold in 1953, and by 1970 window units gave way to central air conditioning. R-12, more commonly known as Freon-12, is used as the refrigerant. 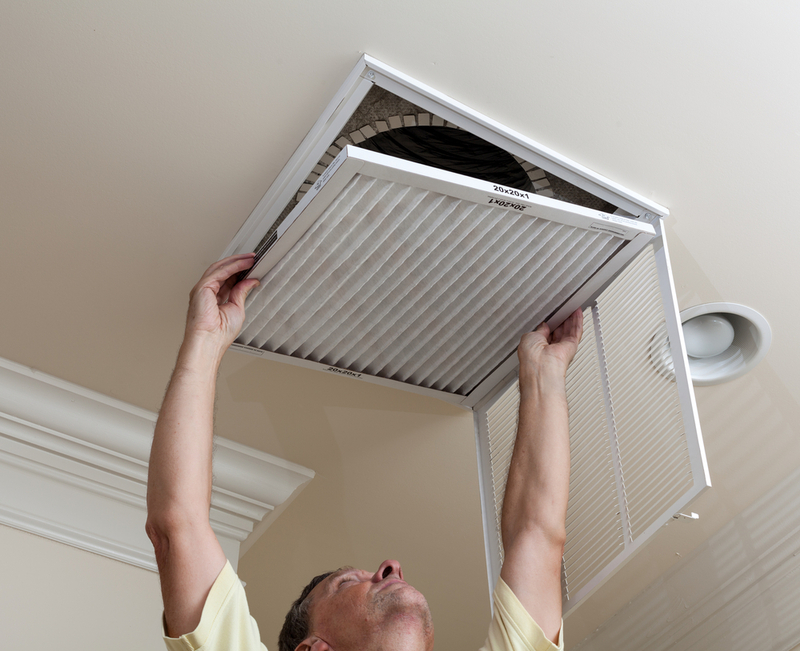 Central air conditioners have two separate components: the condenser and the evaporator. The condenser unit is usually located outside the house on a concrete slab. The evaporator coil is mounted in the plenum, or main duct junction, above the furnace. Most central air conditioners are connected to a home’s forced-air distribution system. The same motor, blower, and ductwork used for heating are used to distribute cool air from the air conditioning system. When a central air conditioner is operating, hot air inside the house flows to the furnace through the return-air duct. The hot air is moved by the blower across the cooled evaporator coil in the plenum and is then delivered through ducts to cool the house. When the air conditioner works but the house doesn’t cool, the problem is probably in the distribution system. Sirius Plumbing and Air Conditioning is family owned and operated. We understand our neighbors in Texas face some unique challenges, and Dallas air conditioning units are some of the hardest working in the world. 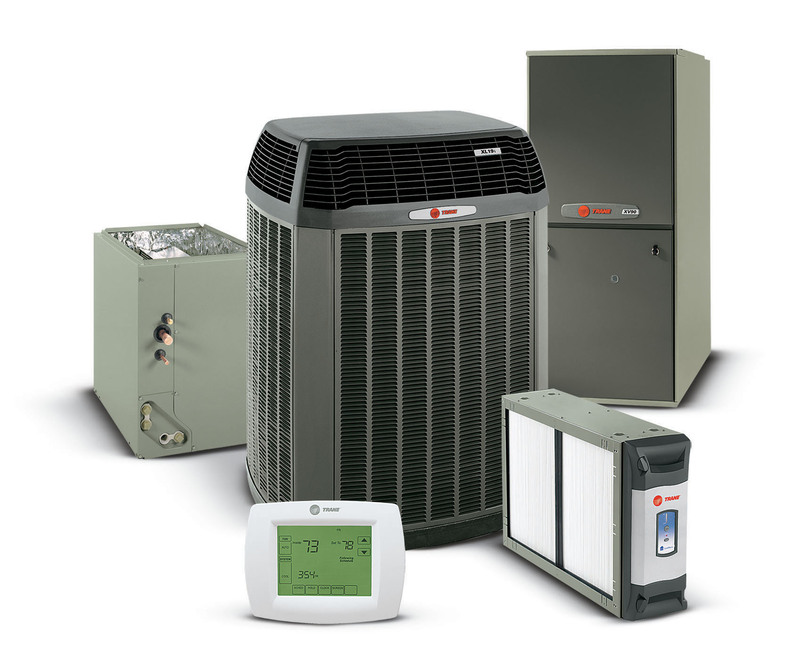 It’s good to have a relationship with a dependable, professional heating, air conditioning and plumbing service provider like Sirius Plumbing and Air Conditioning. It may sound corny these days, but we run our business the old-fashioned way. We get to know our customers and tend to keep our relationships for a long time. Contact us today for all your air conditioning replacement and service needs.